Before trying any pool, make sure you know the rules and regulations for Nicaragua Pools as they may not be the identical as in your house town. We suggest you get in touch with the pool directly to ask in case you will need a hat, and what kind of footwear or specific clothing you will need. Going to a Nicaragua Swimming Pool is growing specially within the elderly population sectors of Nicaragua, who have suffered some type of muscle or bone damage. 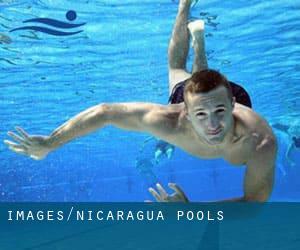 If you are searching for Nicaragua Pools, it's beneficial to know numerous of them belong to gyms or sports centers which also offer you lessons. Get informed by calling the premises. Please have a look at the pools swimmers like you could have reported near Nicaragua. 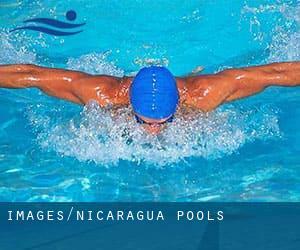 Please, report any Nicaragua Swimming Pool not listed here. Are you a regular swimmer? Have you ever practiced Aquagym in Nicaragua? Let us know!. Do you know of any Pools in Nicaragua that should be listed here? Contact us!. There are a number of reasons why you might want to choose a heated swimming pool in Nicaragua. Probably the most critical 1 relies on the importance of keeping the body temperature stable. When the water is too cold, your body will try to warm it up and you will lose strength to swim correctly. One of the benefits of outdoor swimming in Nicaragua will be the possibility to sunbathe for the duration of the summer time season. Taking it with extra care, sunbathing is healthy due to the fact introduces Vitamin D into the body, so the very best choice seems to be switching amongst indoor and outdoor pools based on the season. It's difficult to visit Nicaragua with out dropping by Managua (with 973.087 residents). Currently Swimia is showing you all the Pool in Managua and the closest pools situated in its vicinity. Holding an estimated population of 130.113, Masaya is among the most important cities in Nicaragua. Check all the Swimming Pool in Masaya and its surrounding area. Without a shadow of a doubt, swimming in Tipitapa may be the best method to unwind after function. Take a couple of minutes to browse Swimia's catalog to find a Pool in Tipitapa. Swimming is a superb thought to keep your body active for the duration of your visit to León (Nicaragua), or even if you're a local. Swimia helps you to find your closest Swimming Pool in León. Updated on 2019 Near the Plaza Inter , behind the old Tribuna Militar , Managua . This sports center offers Olympic size, 8 lanes, Outdoors. For this Swimming Pool, only phone number is number here. Updated on 2019 De la Parroquia 1 ½ cuadras al este , San Juan del Sur . This sports center delivers 25 meters, ~4 lanes, Outdoors. Contact data for this Pool for example phone number and email address are number.